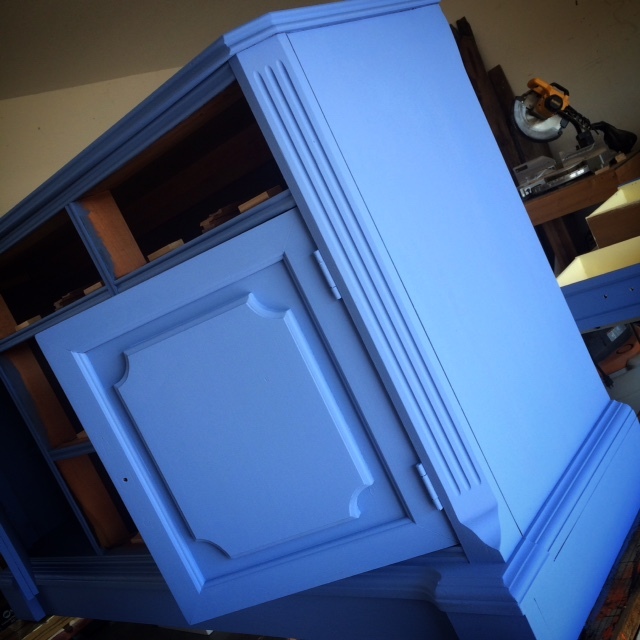 Painting furniture is the “in” thing now! Paint is the easiest way to transform a room and furniture is no exception. 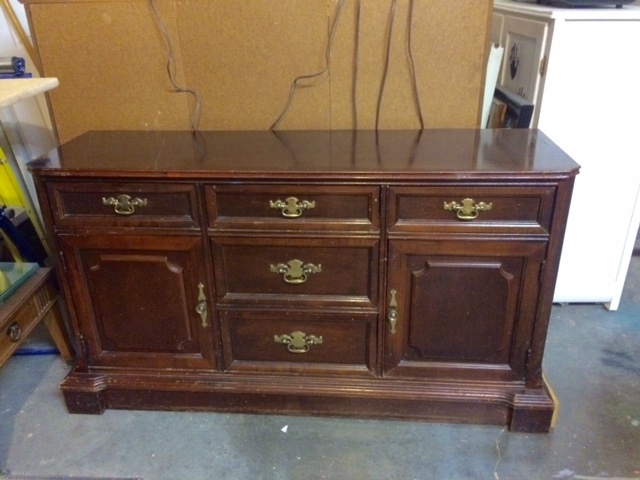 Finding pieces to refurbish is exciting because it’s such an amazing transformation on a smaller scale. Please note, that there are pieces that I would never venture to paint simply because they are antiques and should be refurbished into their original state preserving the beauty of the craftsmanship. That’s a post for another day. That’s it! There are some rules though. You can buy any latex paint but you have to make sure it DOES NOT have a primer in it. If it has a primer, the quality won’t be as good and the paint will not have any shelf life. Meaning whatever you make, you have to use or toss. You mix your NOT water into the Plaster of Paris and mix it until it is a creamy consistency. Think milkshake consistency. Finally, you will pour that into your paint and mix well. Another thing I LOVE about chalk paint is how fast it dries. This allows you to work on a piece and potentially do several coats in a day. That’s HUGE!! No waiting for cure time! Also, there is absolutely NO SANDING or PRIMING! 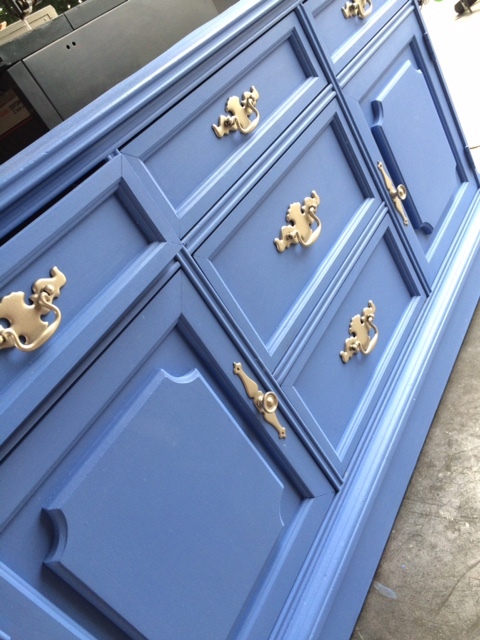 Even those pieces that have high gloss poly…you can paint right over that baby with chalk paint! 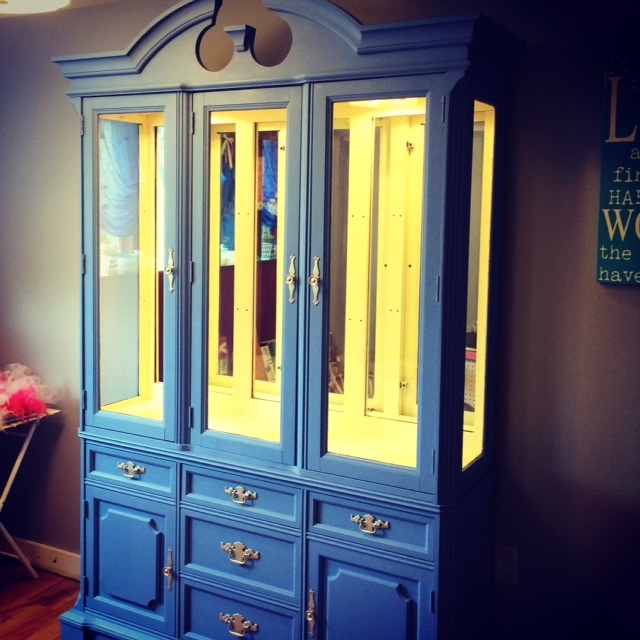 So with chalk paint in hand, you are ready to transform a piece for yourself! Here’s what I tackled this week! I chose to paint the inside drawers and cabinet an accent color because I think it just adds a little more style to the piece. Most people pass on painting the inside of the drawers but it’s always a special touch that is thoroughly appreciated. I kept all of the original hardware because I loved the style! I simply used a brushed nickel spray paint on them. SUPER EASY! The last step that can not be ignored with chalk paint is a sealant. If you don’t seal chalk paint, you run the risk of heavy staining. This can be in the form of a wax or poly-acrylic. For pieces that have less wear, I use wax. For pieces that will get more wear, such as tabletops, I would use poly-acrylic. Notice I did not recommend polyurethane. 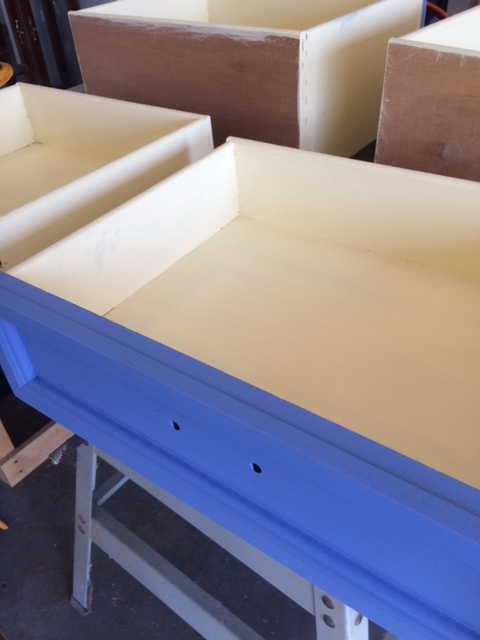 Polyurethane will yellow over time whereas poly-acrylic does not! Thats amazing Work Beth!! Know this kind of furniture i need with your flare!!! What price will i be looking at if i buy something like this???? Hey Jeri! Thank you! Something like this depends on several factor. 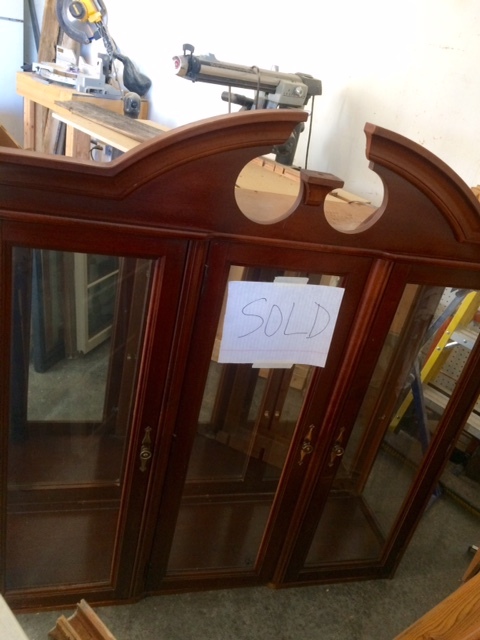 If I am buying the furniture versus you already have it and the condition that it is in which equates to the amount of prep work involved. If I were to sale this piece, which I got at a GREAT price, I would charge $250. Looks gorgeous!! I can see why you must keep it!! !